Look here for information on our SPECIAL MATINEE PERFORMANCE for schools! Join LDP as we Celebrate 5 Years of Musical Theatre! The Louisville Drama Project is excited to present our annual dinner theatre performance as we celebrate FIVE years of performances. We are entering our fifth season of musical theatre and want to mark the occasion with an exciting evening of looking back and going forward. Students will present selections from all our previous showsm including Music Man, Annie and The Addams Family as well as a 'sneak peak' of coming attractions - Mary Poppins - Spring '19! There will be hors d'oerves served buffet style in theme with all five shows, a silent auction and memorabilia displayed from all our past seasons. We hope to see lots of former LDP students and friends at this wonderful celebration. Get your tickets now! Join the LCAA Student Body for our annual school play - The Party Line (based on the feature film - Pillow Talk) Friday, October 26, 2018 and Saturday, October 27, 2018. The Salvation Army Auditorium. LCAA Families - WE NEED YOUR CREATIVITY AND HELP! Volunteer opportunity to raise funds for our school and provide aide to the Ironman participants. We need 15-20 volunteers at all times between 10:00a - 6:00p! THIS WILL PAY ONE MONTH'S RENT for LCAA! We will make it fun with LCAA SPIRIT and PERFORMANCES! Please email info@louisvillecreativeartsacademy.com to sign-up TODAY! Sign-up for school pictures with photographer Stephen Duncan! Louisville Drama Project presents The Addams Family Musical featuring all your favorite characters - Wednesday and Pugsley, Grandma and Fester, Morticia and Gomez and many more! There is plenty of laughter and creepy fun at this one-of-a-kind dinner party! Recommended for grade 6 and up! LCAA is hosting a SHADOW DAY for students in the 6th - 12th grade who are interested in creative arts education classes. Visit a class, meet teachers and get to know current students. Contact us at info@louisvillecreativeartsacademy.com to register or for more information. 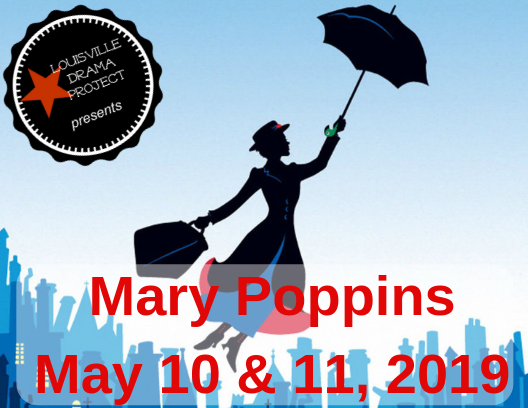 Contact info@louisvillecreativeartsacademy.com for audition information.